Take the confusion out of bookkeeping with EasyBooks, a professional and easy-to-use bookkeeping app. Keep your business expenses in check without worry. 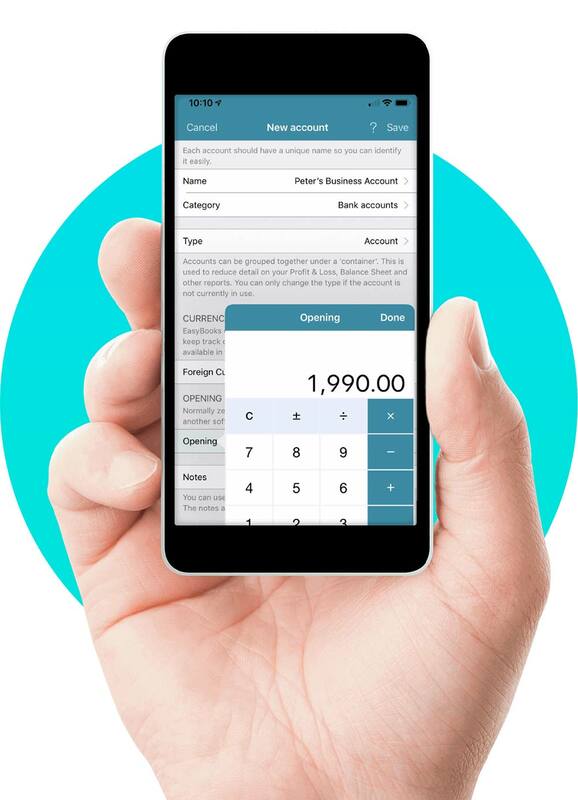 Try EasyBooks, the perfect bookkeeping app for your needs. The deadline is soon. Find out how EasyBooks can help make sure you’re prepared. Stay organised and create professional reports, minus the piles of paperwork. It’s bookkeeping made easy. Personalise your customer invoices or create from templates. Monitor sales and inventory in real-time. Backup your data or protect it with a passcode. Running a business isn't easy. But using EasyBooks is. You’ve enough to organise without worrying about your books. Have one less job on the list by using the EasyBooks app. Get your tax right the first time with EasyBooks.